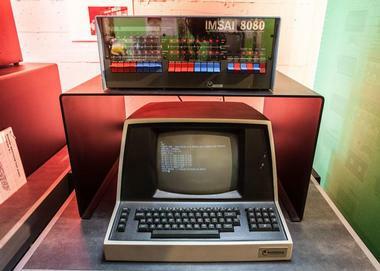 Located in Seattle, Washington, the Living Computers Museum and Labs provides visitors with an innovative and unique educational experience that explores the history and impact of computers. Living Computers Museum and Labs has a variety of permanent attractions that allow visitors to experience the history and impact of computer technology first hand. Robotics explores how robotics originated from an idea that belonged to science fiction to a reality that plays a key role in our everyday lives. 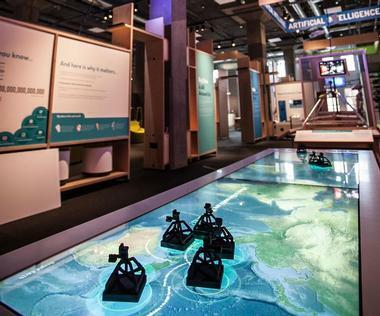 This exhibit enables visitors to explore the fundamentals of robots and what the future has in store for robotics. In early 2006 the Living Computers Museum and Labs (then called PDPplanet) was founded by Paul Allen, the co-founder of Microsoft. Allen wanted to provide the general public with an innovative museum that would explore the history, progress, and impact of computers. Most of the exhibits required hands-on interaction with computers that were regarded as being antique. Recently, the museum changed its name to what is now known as the Living Computers Museum and Labs. This signified the new museum initiative that promoted the interaction and exploration of vintage computers and new computers. VR/AR allows visitors to experience virtual reality and augmented reality. Innovators and researchers have tried to achieve virtual or augmented reality for decades. Finally, innovators have discovered a way to use computer imagery to alter the way we perceive and interact with things. Artificial Intelligence utilizes the renowned Depp Visualization Toolbox to allow visitors to explore the fundamentals and history of computers and machines. Big Data features the tools that are used to track, decipher, and analyze our digital footprints. Through this exhibit, visitors will discover the importance of big data, what a digital footprint is, and what the impact of our digital footprint is. Self-Driving Cars gives visitors the opportunity to explore a self-driving car, and even ride in one in the specially crafted self-driving car simulator. This exhibit explains why self-driving cars are revolutionary, and how they could impact our transportation networks, as well as alter metropolitan areas. 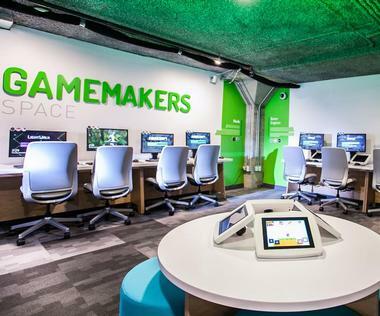 Game Makers Space is a lab that offers the chance for visitors to create their own video game. 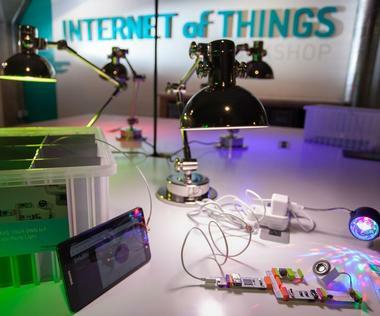 IoT Workshop is full of a variety devices and accessories that make it easy for us to access the Internet and utilize our smartphones. A cool feature of this exhibit is that you can charge your cell phone. Since one of the missions of Living Computers Museum and Labs is to provide the general public with innovative technological information, it shouldn’t be a surprise that Living Computers Museum and Labs hosts innovative and unique special attractions. Currently Living Computers Museum and Labs only has one special attraction. Since their special attractions are continuously changing, be sure to check out an updated list of the museum’s special attractions on their website. [ed]tech explores the true innovation that has occurred over the past 50 years with regards to computers and their relationship to education. 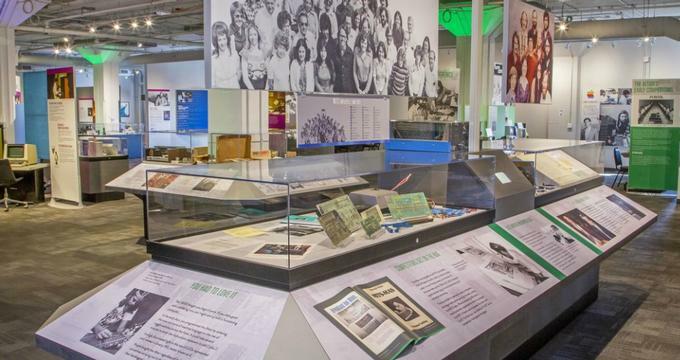 Some of the highlights of this exhibit include a look into the renowned and innovative PLATO terminal, Seymour Papert’s work, and The Oregon Trail. [ed]tech is available until March 26, 2017. Many of these programs were integrated into libraries and then classrooms across most public schools since the 1990’s. Education is extremely important to Living Computers Museum and Labs. That is why Living Computers Museum and Labs is home to various hands-on activities and labs that enable visitors to experience technology throughout the ages. Aside from the hands-on activities that are located throughout the museum, Living Computers Museum and Labs hosts specialized field trips and group tours. Living Computers Museum and Labs ensures that their specialized field trips cover every aspect of grade appropriate curriculum. School children in kindergarten through 12th grade have the opportunity to travel to Living Computers Museum and Labs and explore the museum in an in-depth and rich way. In order to travel to Living Computers Museum and Labs for a field trip, schools have to fill out an extensive form that enables the specially trained employees at Living Computers Museum and Labs to access the technological experience and characteristics of the school. This experience and characteristics ultimately shape the type of tour and activities that are done during the field trip.